The insecticide Emuldry solution and Ovoxim spray make a lethal combination to eradicate both bed bug eggs and the adult bed bugs in one treatment. Ovoxim attacks the eggs of bed bugs to prevent them from hatching. Other traditional treatment requires at least two visits to attempt to get rid of the adult bed bugs and eggs. 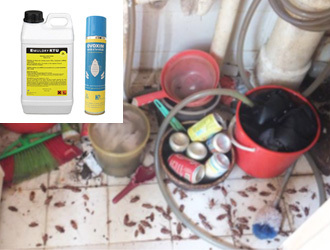 The effectiveness of the combined Emuldry and Ovoxim solution was clearly demonstrated during the fumigation of two-room Housing and Development Board rental units in public housing estates in Singapore. The Emuldry solution proved equally effective against flying insects, especially cockroaches. Beijing E-Hualu Information Technology Co., Ltd became a majority shareholder in Infologic Pte Ltd when it secured 60% stake in the Singapore company in January 2015. The public-listed Beijing E-Hualu Information Technology Co was established in April 2001 under China Hualu Group Co., Ltd, a state-owned conglomerate. E-Hualu is widely acknowledged as a pioneer and leader of smart city technologies in China that include intelligent transportation systems, transportation planning and management, public security solutions and associated training programmes. Commenting on the tie up with Infologic Pte Ltd, CEO of the company Mr Luo Xi said: "There's much synergy with what Beijing E-Hualu Information Technology Co does in China and Infologic's impressive track record in information display software and biometric security solutions for airports and border control. We want to bring the combined best practices, products and services of e-Hualu and Infologic to a wider market through our joint efforts." 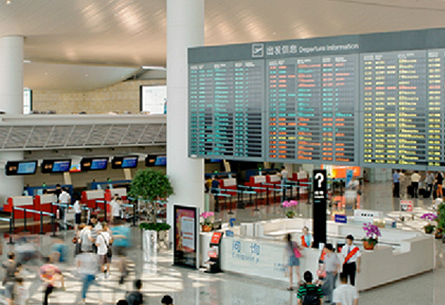 Infologic has consistently maintained its market leader position in Asia with its innovative hardware and software solutions in delivering high-performance Information Display Systems for airports, railway and bus terminals. In the past 15 years, Infologic is proud to be the main software supplier to some of the world's best and prestigious airports. Changsha HuangHua International Airport, Hangzhou XiaoShan International Airport T3, XiAn Xiangyang International Airport T3, Thailand Bangkok Suvarnabhumi International Airport, Hong Kong WIL/KTE MTR extension.